How accurate is your fitness tracker? Kinesiologists at Iowa State University wanted to find out, so they took a selection of recent models and tested them on different activities. 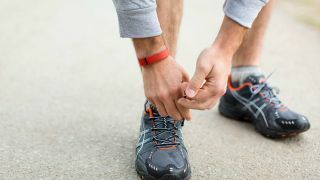 They gathered up the Fitbit Flex, Nike+ FuelBand SE, Jawbone UP 24 and Misfit Shine, as well as two monitors normally used in research - the BodyMedia Core and Actigraph GT3X+ - and put them through a testing regime that simulates daily living activities. 56 participants were asked to do 20 minutes of sedentary activity, followed by 25 minutes of aerobic activity (like running) and 25 minutes of resistance exercise (like strength training), with five minutes of rest in between each. The BodyMedia Core came out on top, with an error rate of just 15.3%. The Misfit Shine was least accurate with a 30.4% error rate. Across all devices, error rates were higher for resistance activity than aerobic activity, and lowest for tracking sedentary activity. "By looking at the most commonly performed activities in exercise and daily living settings, we can examine where the errors occur," said Yang Bai, lead author on the study. "As expected, some monitors overestimate or underestimate all three activities, but some monitors overestimate one type and underestimate the other two categories, which can cancel out if we don't measure them separately."